7.442 billion people live in this world right now. Every single one of those people have been afraid of something or will soon. Having a fear or phobia of something can be funny to those who don’t have it but extremely terrifying for the ones who do. I know that I am extremely horrified by worms and scared of heights. Those aren’t the only things I am afraid of, but that’s a story for another time. Everyone gets scared of something for a reason and can overcome that either by the same reason or a different one. Besides fear and phobias, people are afraid to try situations and events but are instantly glad they have done so after. 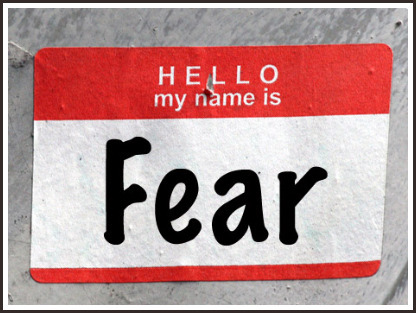 Many people have told me about their experiences and how they have overcome their fear. Even though we live in Indiana, people still fear stuff that exists only outside of Indiana. For example, Mckayla Thompson is terrified of sharks and needles. Mckayla’s phobia is feet. Every time she hears the word “needle”, she imagines it going through her vein. We have all cried at least once while getting our shots, but some adjust a little slower than others. However, the more Mckayla gets her shots, the easier it is for her. “I needed to realize the fear of it to recognize that it’s not that bad,” said Mckayla. For every rising star football and baseball players, their biggest fear would be injuring their arm. This is so for Reece Rodabaugh. Reece has been given a scholarship to Purdue for his phenomenal plays as a pitcher. His phobia is also feet and spiders. Reece says he is also not a big heights guy but went cliff hanging with his friends for a good time. Even though he was absolutely terrified, he overcame his fear for a once in a lifetime kind of fun with his friends. Everything we are and have done is usually because of our parents. So what would happen if you were all alone without your parents, even if you guys didn’t get along all the time. Josie Woolever’s biggest fear is losing her parents. Her phobia is feet as well. All of Josie’s fears are relatable because her other big fear is public speaking. Who likes to speak to a large crowd of people? Not me or Josie. However, Josie had to speak publicly for a class of hers and overcame that fear. Speaking in front of her class helped her overcome her fear of public speaking because this allowed her to feel more comfortable and get the familiarity of it so that she could do it again sometime. In conclusion, I think that trying what you are afraid of can help you overcome it. Try things you have never even thought of doing before. Live life to the fullest but also be smart about it. Life is all about adventures you will remember during your toughest times, so I dare you to do what you have never done. I was terribly afraid of heights, and still am, but went zip-lining for the fun of it and because it was an opportunity I didn’t know if I would ever be able to do again. What an article! I would have to agree with Mckayla that needles are terrifying. I love how you used many different fears and phobias to explain the fact that people really are scared of many different things. Everyone is different so every level of fear is different. Great way to prove a point and get me thinking about everything I am absolutely terrified about:). I liked how you gave many examples of different fears and phobias from different people; it added a big variety of different fears that people can have. I agree that it’s important to live life to the fullest and have fun while doing it. Great article! Great article Bella! I enjoyed this story a lot and how you explained everyone’s fears and their phobias. My favorite was about Reece’s fear because I am also have a big fear about heights. Keep up the fantastic writing bella! I really like how you gave multiple examples to support how to overcome fear.